I need to update my body image now that I am in my forties. Weight gain and wrinkles are what I see in the mirror now, and are one aspect of growing older that I wish I could avoid. I am a caretaker to my husband and my children and I ignore myself. My wellness plan has all but evaporated from my life because I am simply too busy to think about it. My body has been changing these past couple of years, sending me signals, which I have been ignoring, resulting in the development of bad habits-- little to no exercise and greasy snack food late at night. Thankfully, I'm going to be attending a Balanced Living workshop hosted by Coca-Cola in the great city of Chicago next week. I'm going to be setting some health goals before and while attending this wonderful workshop. These new goals will give me the boost I needto become more conscious of my daily choices and how they impact my health. More importantly though, my choices also impact my children and the choices they make. It is essential for my family's health that we have personal wellness plans in place to guide our choices going forward in the new year. This is one fundamental point I know I will accomplish at this workshop. Luckily, I have always been very fit. All through my twenties and thirties I never struggled with weight issues, I was always active and I never had to diet. I ate a well-balanced diet, exercised regularly, stayed away from caffeine and was basically the same size I was as a teenager. By the time I turned forty, I was the same size I had been 25 years before. Nonetheless, something started changing in the following years and I began to gain weight. As I was aging, I started to feel more tired, in fact I felt more tired than I had ever been in my life. Everyone kept telling me it was because I had three children under the age of five, so I just went with that. In addition to the weight gain and the sleepiness, I also developed some health issues. These issues have not yet become serious; still, they have been more bothersome than anything. I had my gall bladder removed this past summer and another doctor indicated to me that I could possibly have changed this result with my diet. I was also diagnosed with GERD (Gastroesophageal reflux disease) over the summer, which can be managed again by diet, but I disregard this fact. In addition to the new health issues, I also have asthma which comes with its own challenges. With all these health issues, I really need to focus on my wellness plan and get healthier again. I know the dietitians, nutrition and fitness experts at this workshop will guide me in the right direction. I'm busy now developing a short-term plan for healthier meals and exercise regimens for myself and long-term plans for 2013 for my entire family! I can't wait to discuss this at the workshop. I know I can whip my body into shape and look as good as I did just three short years ago. I want it and I need it. I am committed to investing the time for my health and my body. 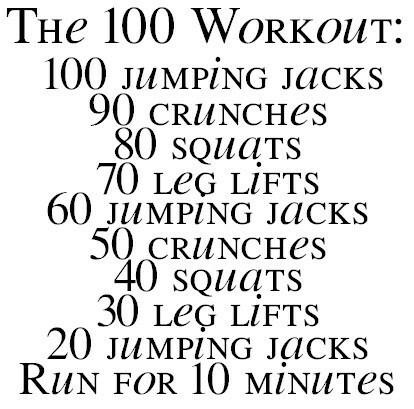 I won't be doing it only for the look of it (although I do miss my flat tummy), but for the health benefits as well. I am worth it and my family deserves me at 100%! What is a wellness plan? you may ask. It is a lifestyle, and for me it will be a lifestyle change or a lifestyle revert. I need a plan that encourages good physical and mental health, and a balanced lifestyle, which I have forgotten how to conceive. I want a fun and motivating wellness plan designed to help me practice good habits! I'm excited for activities that are focused around exercise, nutrition, and family health at this workshop. I can’t wait to see the end results before my next birthday. I am worth it and I’m going for it. Are you OK with your body image?